Pinterest is the latest, greatest thing in the world of social networking, with millions of people “pinning” photos and other images to the site’s virtual pinboards. Just what is Pinterest, and should you be using it? Author Michael Miller answers these questions, and more in this useful article. Pinterest is the newest social network on the web, a collection of virtual online “pinboards” that people use to share pictures they find interesting. Users “pin” photos and other images to their personal message boards, and then share their pins with online friends. Sounds interesting, and it must be, because users are spending more time on Pinterest than they are on Google+, LinkedIn, and Twitter — combined. Pinterest is big and getting bigger every month, there’s no doubt about it. But what exactly does Pinterest do, and who’s using it? Read on to learn why everybody’s interested in Pinterest. Pinterest is a visually-oriented social network that launched in March, 2010. It’s kind of like a Facebook with pictures only, where people share photos and other images they find interesting with their family and online friends. It works like this. You find an image on a web page that you like and want to share. You click a “Pin It” button that Pinterest adds to your browser’s bookmarks bar, or click the Add button on the Pinterest site, and the selected image is “pinned” to one of your personal online pinboards, which are like virtual corkboards. Your pinboards become places where you create and share collections of those things you like or find interesting. Pinterest creates a few default pinboards for you when you first sign up, such as Products I Love and My Style. You can create as many other pinboards as you like, organized around your favorite topics and interests. Friends who follow you see the images you pin, and you see the ones they pin. 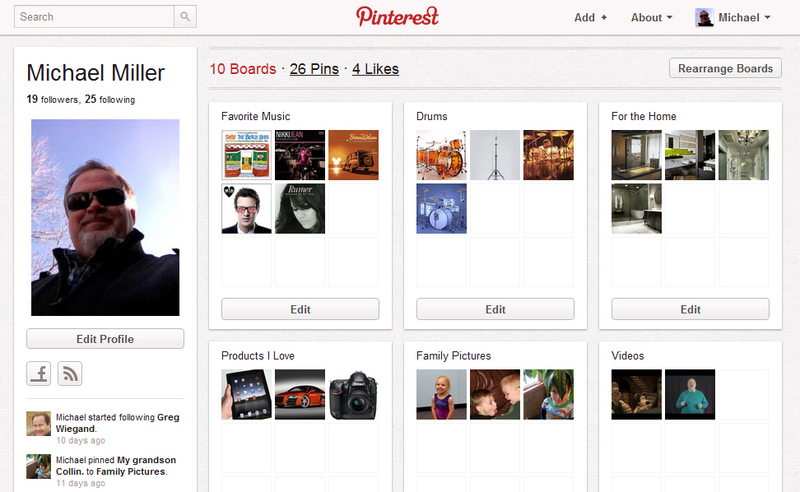 You can also “like” other people’s pins, and repin their items to your pinboards. It’s a very visual way to share things you like, online. The sharing doesn’t end there, however. 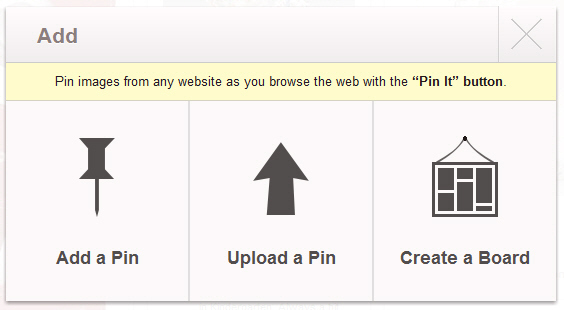 You can configure Pinterest to automatically post your pins to your Facebook and Twitter accounts. It’s all done with a few clicks of the mouse; there’s not a lot of typing involved.